Stop Color Correction applying to all instances of a clip? I'm trying to color correct (new to this) in Avid and I can't sem to stop a colour correction being applied to every instance that the clip appears in my timeline. I don't have in & out points on my timeline. How can I stop this occurring? 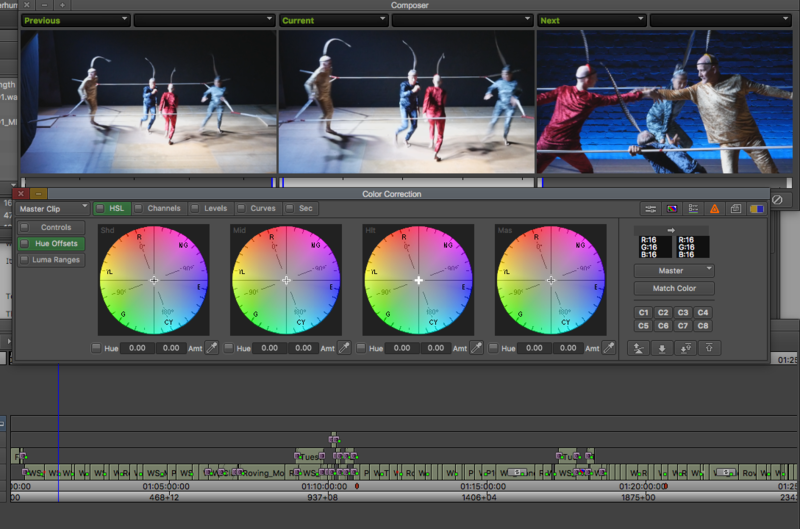 Where did you add your color correction? If you did it at the source level, then it will show up on all clips added to the timeline. Can you explain how not to colour correct at source level? It's a full/paid version of MC (8.9.4) and I'm on a Mac. To answer your question it's only instances of the clip my play head is on. The attached screenshots show a before & after I apply a correction. 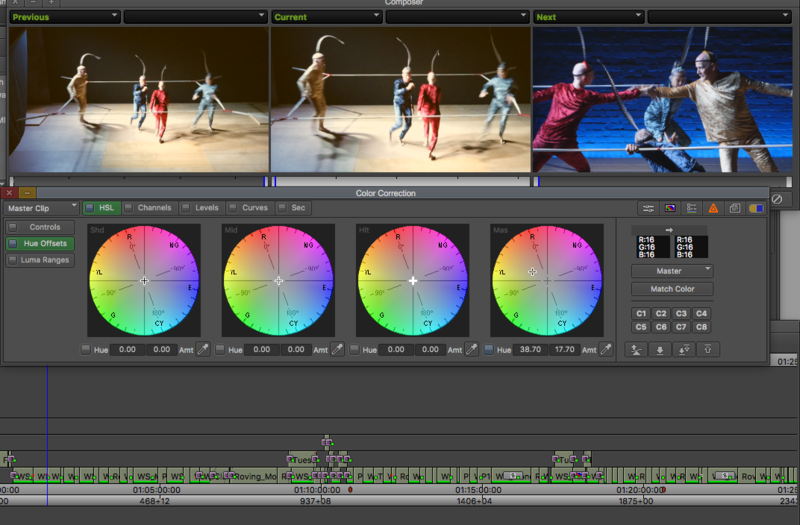 You can see the green line appears on all the clips that have had the correction applied. But I don't want that. I just want the correction to be applied to the clip I'm working on. I think your timeline clip in question is probably a GroupClip, which you can verify by zooming in and revealing the full clip name, or by doing a Match Frame. So check that. If the Source monitor shows a GroupClip, then press Match Frame in the Source monitor to reveal a Masterclip at the same position. Press Replace button after correctly patching from Source to Composer. Now do some crazy drastic color correction on that timeline clip to learn if it propagates onto all the Clips— like you’ve shown. If I’m guessing correctly, you may have discovered a VERY useful bug or a great (new?) feature, which would be helpful for 99% of MC (non-Symphony) editors, just not you. But my method is the probable workaround. Thanks but not a group clip unfortunately. I've just had another look at the properties of the clip and can't see anything unusual. It's imported normally (at DNxHD120). Problem still stands. Anything else it could be? OK fine, but did you not say something g about “angles?” above? Your timeline, if not started with one angle of a multi-camera groupclip, *may* have initially been all alone before having a CC applied, then if you are correct, other angles were manually edited in. That might explain all the Green lines. Or not. If you describe in detail how the timeline you are showing got built, maybe someone else can test your method to try and duplicate the issue. Good luck. In th CC comtrols, to the top left, it now says “master clip”. Click it and see if you can set it to just ‘segment’. I suspected it would be something really simple like that! Actually, when I read your original post yesterday I thought it sounded like you'd selected Master Clip rather than Segment in Symphony color correction. But the fact that you posted in the Media Composer First forum threw me off, so I didn't answer, because I figured this was some weird MC First problem. If you'd posted in the right forum, and if you had system specs listed in your profile, you'd have had an answer faster.